We offer an interesting and challenging job in an international environment focusing on education, research, public-sector consultancy and innovation, which contribute to enhancing the economy and improving social welfare. We strive for academic excellence, collegial respect and freedom tempered by responsibility. 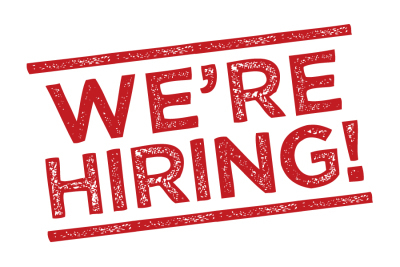 Applications are invited from suitably qualified candidates for a position funded by the Marie Skłodowska-Curie project “ASCTN-Training” within the Horizon 2020 programme of the European Union, starting January 1, 2019. The appointment will be on a temporary basis for a maximum period of 3 years (PhD student) and will be placed at the “Stem Cells” Laboratory, Division of Neuroscience, San Raffaele Scientific Institute, Milan ASCTN-Training is a four-year project, funded by the European Union Horizon 2020 Programme (H2020-MSCA-ITN-2018) under the Marie Skłodowska-Curie Initial Training Network and Grant Agreement No. 813851. ASCTN-Training is addressing existing gaps within Human Stem Cell-based Neuronal disorders (NDs) Modelling (NDM) for research to develop new medicines for the treatment of neurological disorders (e.g. Parkinson´s (PD), Huntington´s (HD) and Demyelination’s (DM) diseases), which occur as a result of acute or progressive loss of cells, glial or neuronal, and structures and function in the brain. ASCTN-Training sets out with the ambition to educate and train students within and across different scientific disciplines: biotechnology (Human Pluripotent Stem Cells (hPSCs) neuronal and glial differentiation using brain-on-chip technology and microfluidics, 3D tissue engineering/cerebral organoids and nanoengineering of culture conditions), molecular biology (Ex vivo gene expression, Direct cellular reprograming, mouse genetic modification, single cell analysis), In vivo mouse manipulations (Animal models of NDs, stem cell transplants into the brain, scaffold implantation, direct tissue engineering). 1. 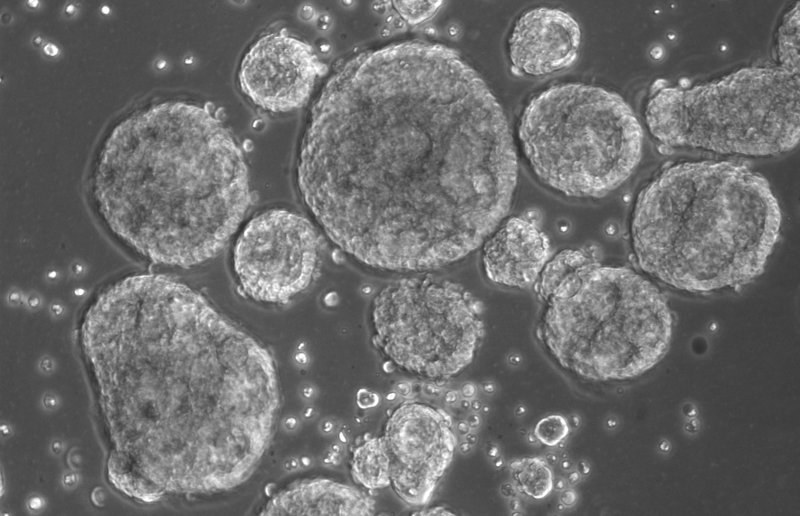 To develop the tools to directly reprogram human adult cells into DA neurons. 2. To perform genomic and epigenomic comparison of different reprogrammed DA neuronal cell types. 3. To establish new culture systems for patterned growth of human DA neurons. 4. To employ human reprogrammed DA neurons for deciphering pathophysiological mechanisms of Parkinson’s disease. • Spend external stays at the Universidad Autónoma de Madrid and University of Dresden (subject to changes depending on project results). • Participate in training events for researchers and Principal Investigators involved in the program. • Report to the Project Manager which includes contributing to periodic scientific reports. • Contributing to the reporting of project milestones and deliverables in accordance with EU deadlines. • Promote and disseminate results involved in the program, which includes contributing to newsletters and participating in outreach events. • Spend external stays at the University of Barcelona and University of Dresden (subject to changes depending on project results). The human brain is made of 100 billion neurons (and many more glial cells), each of them making at least 1,000 connections with other neurons for a total of 100 trillion connections with distinct and peculiar activities. 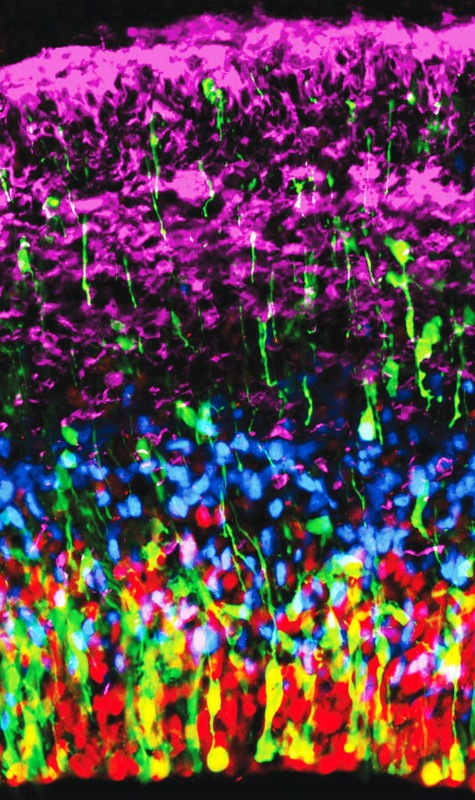 Despite this breathtaking complexity, new results have provided a solid proof-of-concept that cell and gene therapy approaches have the outstanding potential to replace neurons, reconstitute brain circuits, and repair synaptic dysfunctions in the adult brain up to block or revert brain damages or diseases. Our mission is to develop new therapeutics for neurological disorders waiting for an effective, safe and long-lasting treatment. The significant step-forward in our understanding of the molecular pathophysiological roots of these diseases has disclosed unprecedented opportunities for establishing new therapeutic strategies for these serious illnesses. Remarkably, the advent of novel and powerful technologies such as stem cell reprogramming, systems biology, gene editing approaches (TALENs and CRISPR/Cas9) and gene therapy vectors has provided an invaluable and powerful tool-box to model, understand and treat these disorders. We are taking advantage of these technologies to implement new pathways of medicine discovery and set innovative therapeutic strategies to cure diseases. Over the years, we have developed a strong commitment to exploit therapeutics for incurable infantile neurological disorders with cognitive dysfunctions and untreatable epilepsy. Additionally, our efforts are aimed to establish new cures for Parkinson’s disease and MSA causing dopaminergic cell loss and mental impairment. Stay tune on this website to follow our developments and news in seeking for new discoveries and therapeutics! Ideas are cheap; models are cheap; experiments are golden. Scientists have long been known to put too much faith in their model and not enough faith in their data. Believe your data, not the model that is popular with you or with the community. All models will be wrong sooner or later. Giannelli SG, Luoni M, Castoldi V, Massimino L, Cabassi T, Angeloni D, Demontis G, Leocani L, Andreazzoli M, Broccoli V.
Sessa A, Ciabatti E, Drechsel D, Massimino L, Colasante G, Giannelli S, Satoh T, Akira S, Guillemot F, Broccoli V.
Wang J, Bardelli M, Espinosa DA, Pedotti M, Ng TS, Bianchi S, Simonelli L, Lim EXY, Foglierini M, Zatta F, Jaconi S, Beltramello M, Cameroni E, Fibriansah G, Shi J, Barca T, Pagani I, Rubio A, Broccoli V, Vicenzi E, Graham V, Pullan S, Dowall S, Hewson R, Jurt S, Zerbe O, Stettler K, Lanzavecchia A, Sallusto F, Cavalli A, Harris E, Lok SM, Varani L, Corti D.
Mazzara PG, Massimino L, Pellegatta M, Ronchi G, Ricca A, Iannielli A, Giannelli SG, Cursi M, Cancellieri C, Sessa A, Del Carro U, Quattrini A, Geuna S, Gritti A, Taveggia C, Broccoli V.
Rubio A, Luoni M, Giannelli SG, Radice I, Iannielli A, Cancellieri C, Di Berardino C, Regalia G, Lazzari G, Menegon A, Taverna S, Broccoli V.
Vasconcelos FF, Sessa A, Laranjeira C, Raposo AASF, Teixeira V, Hagey DW, Tomaz DM, Muhr J, Broccoli V, Castro DS. Orellana DI, Santambrogio P, Rubio A, Yekhlef L, Cancellieri C, Dusi S, Giannelli SG, Venco P, Mazzara PG, Cozzi A, Ferrari M, Garavaglia B, Taverna S, Tiranti V, Broccoli V, Levi S.
Colasante G, Lignani G, Rubio A, Medrihan L, Yekhlef L, Sessa A, Massimino L, Giannelli SG, Sacchetti S, Caiazzo M, Leo D, Alexopoulou D, Dell'Anno MT, Ciabatti E, Orlando M, Studer M, Dahl A, Gainetdinov RR, Taverna S, Benfenati F, Broccoli V.
Broccoli V, Colasante G, Sessa A, Rubio A.
Caiazzo M, Giannelli S, Valente P, Lignani G, Carissimo A, Sessa A, Colasante G, Bartolomeo R, Massimino L, Ferroni S, Settembre C, Benfenati F, Broccoli V.
Broccoli V, Giannelli SG, Mazzara PG. Broccoli Vania is leading the Unit of “Stem Cell and Neurogenesis” at the San Raffaele Scientific Institute in Milan (Italy). He is a neurobiologist interested to unravel the molecular mechanisms that control key processes of brain development such as neural stem cell identity maintenance, neural commitment and migration, neural network establishment and function. 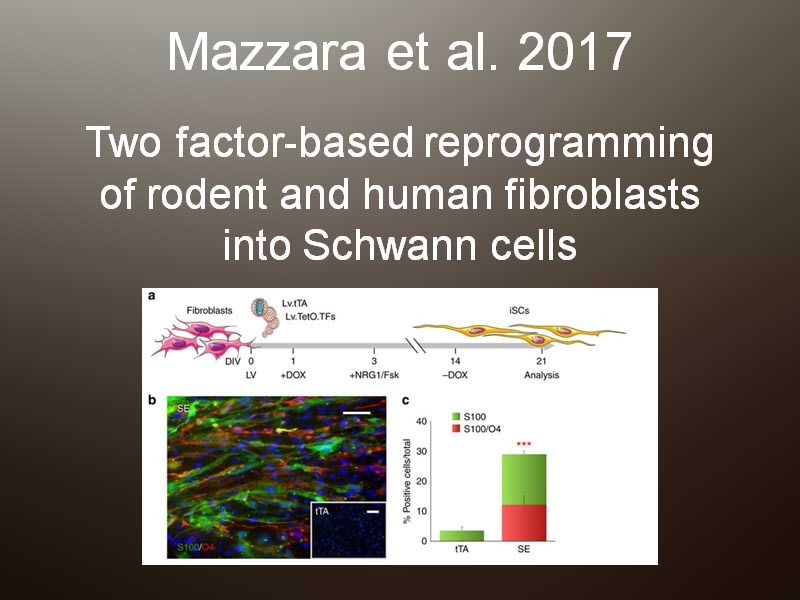 Lately, his group has applied new technologies of direct cell reprogramming to convert mouse and human skin fibroblasts into functional dopaminergic neurons. Now, he aims to further strengthen these approaches to establish safe and efficient systems for producing functional human neurons suitable for cell replacement therapies in infantile neurological and neurodegenerative disorders. V. Broccoli has published 64 papers in international scientific journals with a Total Impact Factor (IF) = 492.2, with average IF=7.8/Journal, was cited 2732 in total, with an average citation per item of 42.6, H-index is 27 based on the ISI web of science. He contributed 5 chapters to scientific books and edited one special issue of the “Scientific American” Italian Edition. Vania Broccoli established his laboratory in 2003 at the San Raffaele Scientific Institute and focused on revealing the molecular mechanisms controlling neuronal differentiation and cerebral cortex development. From 2000 to 2001, he worked at the Telethon Institute of Molecular Medicine (TIGEM) as associate scientist. As post-doctoral fellow, from 1996 to 1999, he worked in Prof. W.Wurst’s laboratory in Munich, unraveling the role played by the transcription factor Otx2 in shaping midbrain-hindbrain junction and controlling dopaminergic neuronal ontogenesis. 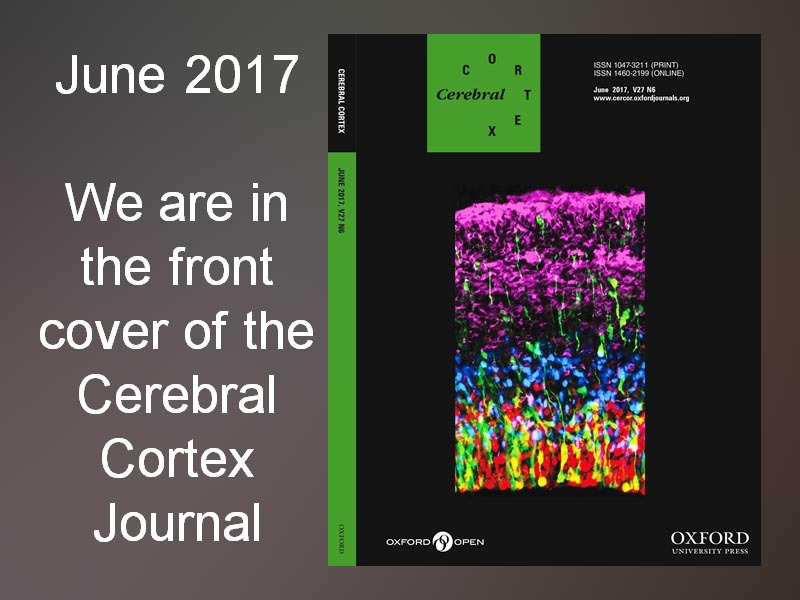 From 1993-1996, as PhD student in Prof. E. Boncinelli’s laboratory, he studied the mechanisms of brain regionalization and differentiation, in particular, focusing on the Emx and Otx transcription factors during cerebral cortex development. He is contract Professor at the Medical School of the Vita-Salute San Raffaele University. The Michael J. Fox Foundation ”Assessing the therapeutic potential of iDA neuronal cells in an autologous transplantation strategy. 2012. Telethon (GGP11110) " Molecular bases and in vitro modeling of Cdkl5 dependent infantile neurological disorders". 2011-2014. Telethon (GGP09117) "Congenital Rett syndrome: cellular and mouse models for the study of FOXG1 impact on forebrain neurogenesis". 2010-2013. ERANET-Neuron (EU) "Modeling Parkinson’s disease by iPStechnology: generation of human affected dopaminergic neurons and gene disease correction by site-specific integration" 2009-2012. 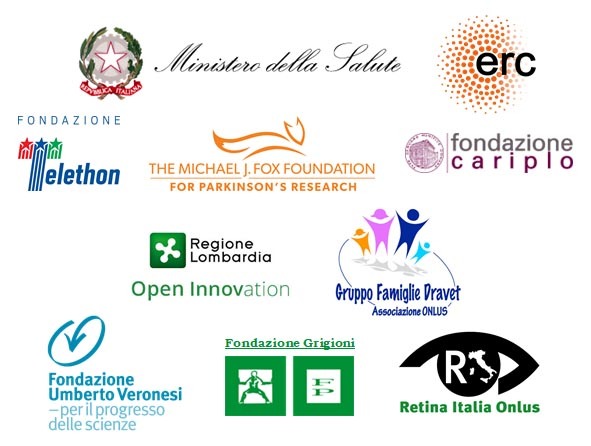 Italian Ministry of Health - Young Researcher Award (RF12) “Derivation, characterization and preclinical applications of fibroblasts-derived iPS cells from patients affected by Parkinson’s disease” 2008-2011. Telethon (GGP07181) “Identification of the Arx molecular mechanisms in controlling telencephalon development and GABAergic neuronal migration: implications for Arx dependent neurological diseases” 2007-2010. ERANET-Rare Diseases (EU) “EURORETT: European Network onRett Syndrome” 2007-2010. RSRF Rett Syndrome Research Foundation (USA) "Production and first analysis of an animal model for the “early seizure” Rettsyndrome variant: conditional inactivation of the murine Cdkl5 gene" 2007-2008. Italian Ministry of Health “Trinucleotide (GCG) repeat expansion of the ARX gene and progressive dystonia in infancy” 2006-2007. Telethon (GGP04141) "Unravelling the pathogenetic mechanisms of Arx mutations leading to several forms of mental retardation, epilepsy and XLAG" 2004-2006. EU, 5th framework program (FP5) "Neural degeneration and control of cell polarity" QLG3-CT-2002-01266. 2000-2002. Gaia Colasante is a Postdoctoral Fellow in Vania Broccoli’s lab. Currently, she is interested in the generation of functional GABAergic cortical interneurons through direct reprogramming technique, starting from mouse embryonic fibroblasts. To this aim, she is applying her knowledge on cortical interneuron development, gained during her PhD in Neuroscience performed in the same lab and concluded in April 2011. At that time, she studied the role of the transcription factor Arx during telencephalic development, in both GABAergic and glutamatergic compartment. During her PhD, she had the chance to work in Jeffrey Golden’s laboratory at Children’s Hospital of Philadelphia, establishing a strong and fruitful collaboration. Serena is a senior Post-doc in Vania Broccoli’s lab. She got her bachelor degree in 2000 in Bologna and then she moved to work in the USA (at the Weill Medical College of Cornell University in New York) to than go back to Italy to join the Broccoli’s lab in late 2005 as a PhD student. During her internship in Molecular Medicine program of Neuroscience at San Raffaele University, she focused on the regenerative potential of the retina and she graduated in 2011. Nowadays she is still engaged in retinal studies but she is also interested in finding new application to exploit the CRISPR/Cas9 system. Alessandro Sessa is a staff scientist in Unit of “Stem Cell and Neurogenesis” at the San Raffaele Scientific Institute in Milan (Italy). He is a developmental neurobiologist interested in the role of epigenetic players in the physiological development of the brain as well as their impact for the establishment of pathological conditions in humans. He obtained his PhD (Molecular Medicine, Neuroscience program at San Raffaele University) in Vania Broccoli’s laboratory in 2012. During his PhD, he worked as guest scientist in Francois Guillemot’s lab at NIMR in London to improve his skills in chromatin immuno-precipitation following by deep sequencing. During his career he combined molecular biology, genetic manipulation and high-throughput analysis to address biological processes during brain formation. Alessandro Sessa has published 20 papers in international scientific peer reviewed journals and contributed to one chapter for the textbook “Epigenetics in Human Disease, 2nd edition” (Elsevier). He is contract Professor at the Medical School of the Vita-Salute San Raffaele University. Thanks to his 10 years of field studies Simone Bido meets the requirements to investigate the mechanism underlying the development of Parkinson’s Disease. He started working in animal models of Parkinson’s disease to investigate the neurochemical changes occurring in the brain structures. The surgery for microdialysis probe implantation, toxins injection and brain dissection gave him the opportunity to improve and refine the skills in the practice of surgery. He mostly worked on the processes underlying the development of L-DOPA-induced dyskinesia, neurochemistry of the movement, mitochondria-mediated neurodegeneration and autophagy. My name is Brusco Simone, and I am an electrophysiologist. I completed my Master Degree in Biology at the University of Milano Bicocca under the guidance of Prof. Andrea Becchetti; during my thesis I studied the effect of nitrosamines, tobacco related compound, on the neuronal isoform of nicotinic acetylcholine receptor. I then completed my PhD in Molecular and Translational Medicine in the same lab, this time focusing on nicotinic receptor mutations involved in Nocturnal Frontal Lobe epilepsy. During my career I focused on electrophysiology techniques and in particular on patch-clamp. Currently in Vania’s lab I’m working on Dravet Syndrome, trying to dissect the role of SSRI in the management of this disease and the neuronal defect responsible of this disease. Marzia Indrigo obtained her degree in Biological Science at the University of Milano. From 2007 to 2015 she worked in the laboratory of R. Brambilla investigating the role of Ras-ERK pathway in neurodegenerative diseases in particular the involvement of ERK1/2 proteins in neuronal survival and behavioural effects. In these years Marzia has gained a good experience in Lentivirus (LV) and Adeno Associated Virus (AAV) production and use of them in in vitro and in vivo experiments. Luca Massimino received his MSc in Cognitive Neuroscience from Vita-Salute San Raffaele University in 2009. He joined the laboratory of Vania Broccoli in 2011 and received his PhD in Molecular Medicine, Neuroscience program, from Vita-Salute San Raffaele University in 2015. Since then, Luca is integrating Molecular biology, Omics and advanced Biostatistics to comprehensively understand disease pathogenesis. Giuseppina Mastrototaro is a Postdoctoral Fellow. Currently her work is focused on the understanding the roles of SETD5 in intellectual disability and autism spectrum disorders. She obtained the bachelor’s (2008) and the master’s (2011) degree with full marks at University of Bari and the Ph.D. in Molecular and Translational Medicine (DIMET) at University of Milano-Bicocca (2015). She has experience in molecular and cellular biology and cell line maintenance, biochemistry, in vitro bioassay, electrophysiology, microbiology, in vivo experimentation and animal manipulation. Pietro Giuseppe Mazzara is a postgraduate fellow in Vania Broccoli’s lab. He received his Master degree in Medical Biotechnology from University of Padua in 2013. He worked, during his Master internship, on mechano-transduction and growth factor signaling in Xenopus laevis model, in Stefano Piccolo’s lab at the University of Padua. Currently he works on the processes involved in Stem Cells differentiation. Sharon received her Bachelor degree in Biotechnology (2009) from University of Milan-Bicocca and her Master degree in Molecular and Cellular Medical Biotechology (2011) from Vita-Salute San Raffaele University. She obtained her Ph.D. in Experimental Pathology and Neuropathology in 2015 at Humanitas Research Hospital. She gained expertise in induced pluripotent stem cells (iPSc) and their differentiation to the hematopoietic lineage, in particular to osteoclasts. She studied also the role of the proto-oncogene Pbx1 in myeloproliferative neoplasms. Currently, in Vania Broccoli’s lab, she is applying her knowledge on microglia differentiation from iPSc. Alicia Rubio received her Ph.D. in 2008 at the Centro de Biología Molecular “Severo Ochoa” (Madrid, Spain) in Jesus Avila´s lab. Her work was focused on the study of different signaling pathways implicated in the progression of tau pathology in Alzheimer´s disease. As a Ph.D. student, she had the opportunity to spend 6 months in Luis de Lecea´s lab (Scripps Research Institute and Stanford University, California, US) where she studied more deeply the effect of the cortical neuromodulator cortistatin on tau phosphorylation. In 2010, she earned a 4-year postdoctoral fellowship to work in the stem cell field in Isabel Fariñas´s lab (University of Valencia, Spain) where she was interested in how the division type of adult neural stem cells can be controlled and modulated. She was also involved in the study of Numb, a fate determinant factor, in the division of stem cells and its role in lineage differentiation in a 2-year collaboration in Pier Paolo di Fiore´s lab (Istituto Europeo Oncologico, Milano, Italy). In 2014 she joined Vania Broccoli´s lab as a postdoctoral researcher and she currently exploits her interests on neurodegeneration and stem cells differentiation by studying fibroblasts-derived iPS cells from patients with genetic forms of Parkinson´s disease. Federica Banfi is a Ph.D. student of the International Ph.D. Course in Molecular Medicine at Vita-Salute San Raffaele University (Neuroscience and Experimental Neurology curriculum), under the supervision of Alessandro Sessa, since October 2016. She obtained her Bachelor’s degree in Biological Sciences (2013) and Master’s degree in Molecular Biology of the Cell (2015) at the University of Milan. During her Master internship, in Lorenza Lazzari’s lab at Fondazione IRCCS Ca` Granda Ospedale Maggiore Policlinico Milano, she studied the role of extracellular vesicles derived from human mesenchymal stem cells in intercellular communication. Currently her Ph.D. project is focused on understanding the roles of SETBP1 in brain development and neurodevelopmental diseases. Tommaso Cabassi is a postgraduate fellow in Vania Broccoli’s lab. He received his Master degree in Medical and Pharmaceutical Biotechnology from University of Modena and Reggio Emilia in 2014. 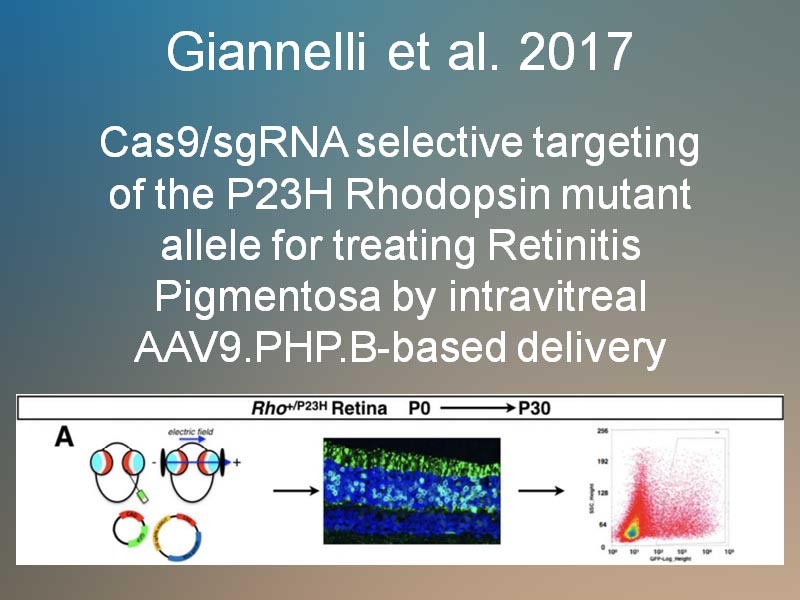 During his Master internship at the Centre for Regenerative Medicine “Stefano Ferrai”, he focused on Zinc-Finger and TALEN-based genome editing in human cell line containing a point mutation causing an autosomal dominant form of Retinitis Pigmentosa. In December 2015 he joined Vania Broccoli’s lab where he works on development and improvement of 3D culture methods, to study and characterize the neurogenesis and the interaction between different neuronal types. Edoardo Fraviga is a student working on his master thesis under Dr. Gaia Colasante supervision. He graduated from Vita-Salute University in 2016, obtaining his Bachelor degree in medical Biotechnology. His master thesis work focuses on Dravet Syndrome. Angelo Iannielli is a postgraduate fellow in Vania Broccoli’s lab. He received his Master degree in Molecular Biotechnology from University of Turin in 2013. 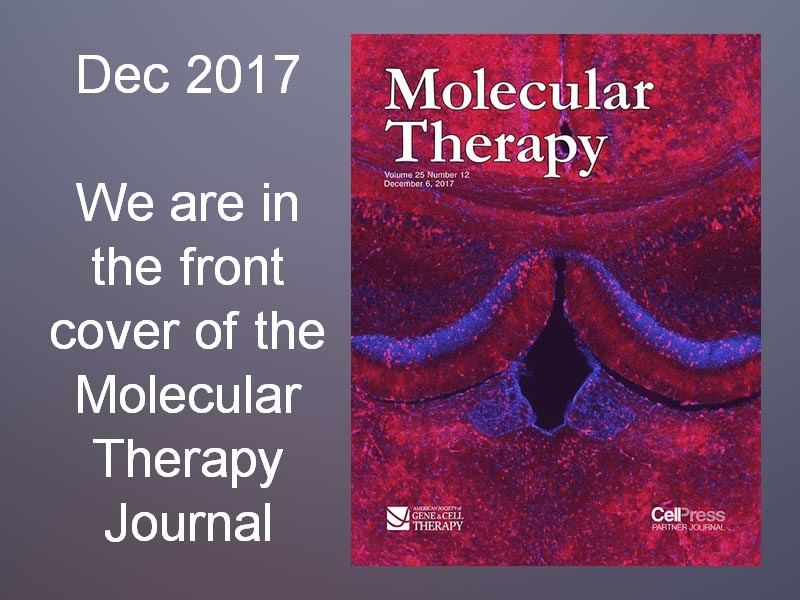 During his Master internship, he attended research laboratory at Neuroscience Institute Cavalieri Ottolenghi (NICO) where he prepared his master thesis focused on the role of transcriptional factor COUP-TFI in controlling activity-dependent TH expression in adult dopaminergic olfactory bulb interneurons. 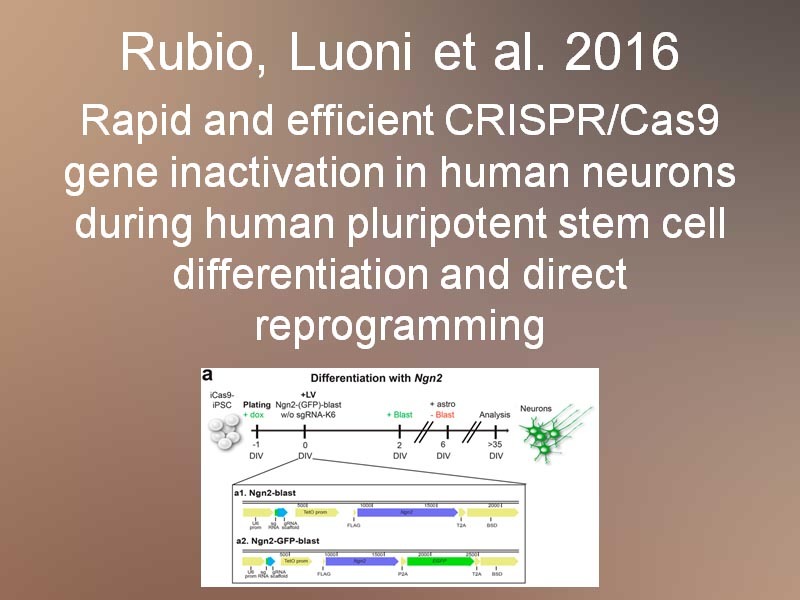 In August 2014, he joined Vania Broccoli’s lab where he focused on direct reprogramming of human somatic cells into functional induced dopaminergic neurons. 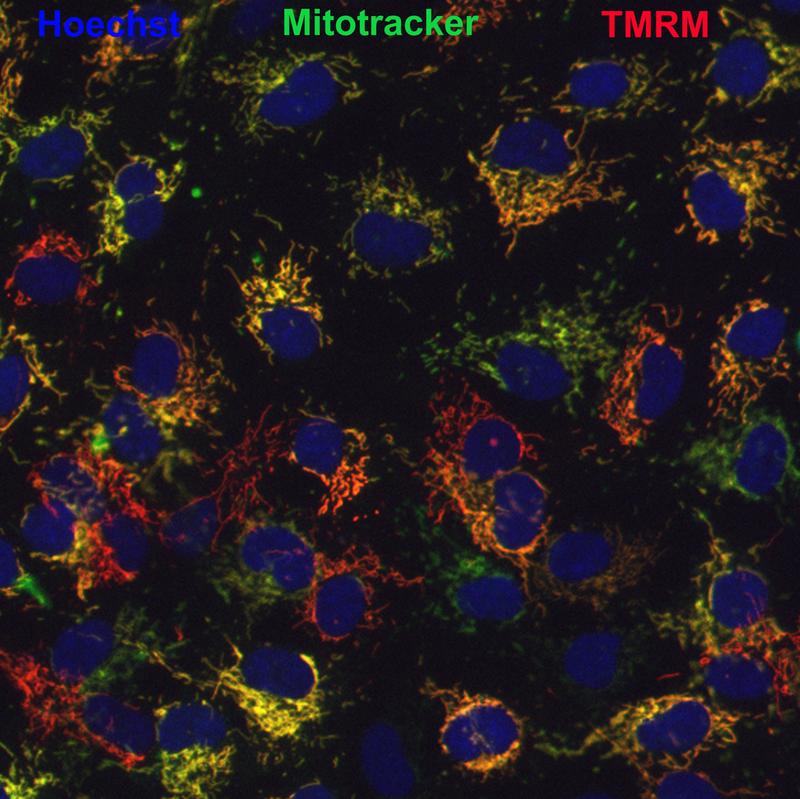 Currently, he works on link between mitochondrial dysfunctions and Parkinson’s disease. Mirko Luoni received his degree in Biotechnology (2013) from University of Insubria (Varese) and his master degree in Medical Biotechnology (2016) from Vita-Salute San Raffaele University (Milano). 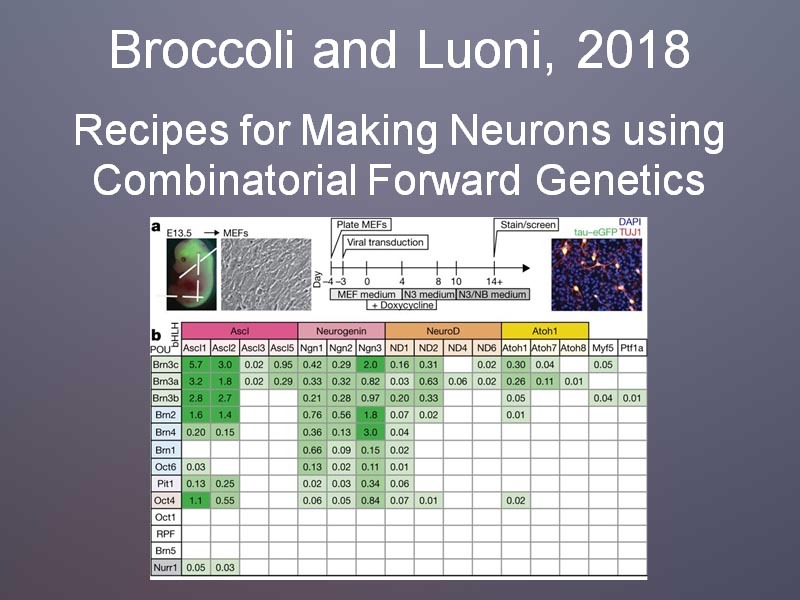 During his Master internship in Broccoli’s Lab, he worked on the application of CRISPR/Cas9 system to develop new methods aiming to quickly analyze the effect of pathological alterations during neuronal differentiation. Currently, he is in the Ph.D program in Neuroscience and Experimental Neurology at San Raffaele University and he works on Rett Syndrome in order to find novel therapeutic strategies. Matteo Moneta is working on his master thesis in Vania Broccoli’s lab after having received his Bachelor Degree in medical Biotechnology from Vita-Salute San Raffaele University (Milan) in 2016. 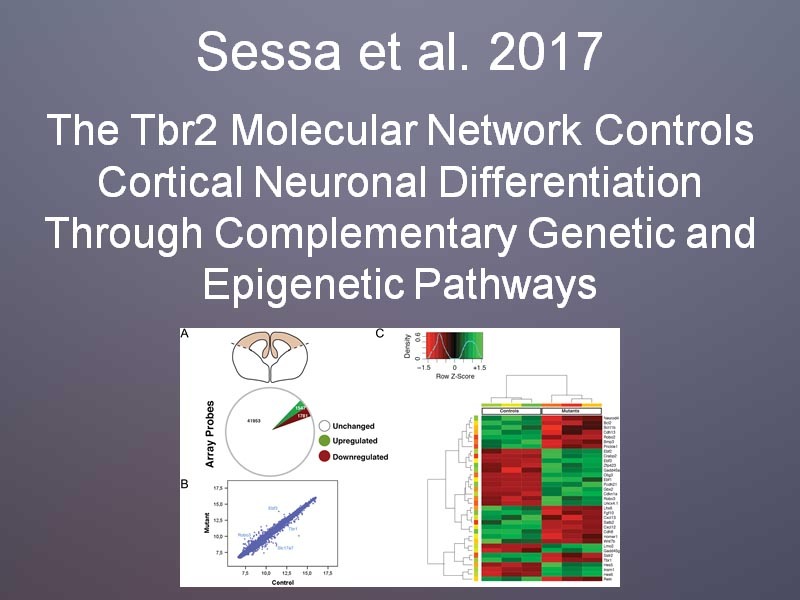 His studies focus on the role of TBL1XR1, a component of the N-Cor complex and also an interactor of SETD5, on the development of the brain and its association with intellectual disabilities. Gabriele Ordazzo received his Bachelor’s degree in Medical and Pharmacological Biotechnology and MD in Cellular and Molecular Biotechnology at Vita-Salute San Raffaele University, Milano. He’s interesting in neuroscience and focus on neurodegeneration field. He’s working on gene therapies and characterization of Parkinson (PD) pathophysiologic mechanisms in cellular and mice model. Raffaele Ricci is a postgraduate fellow in Broccoli’s lab. He received his Bachelor’s degree in Biological Sciences at Sapienza University of Rome in 2013 and his Master’s degree in Neurobiology at the same University in 2016. In his Bachelor internship he studied alterations of microtubule dynamics in A549cell line due to treatment with silica nanoparticles at CNR in Dr Cundari’s Lab. 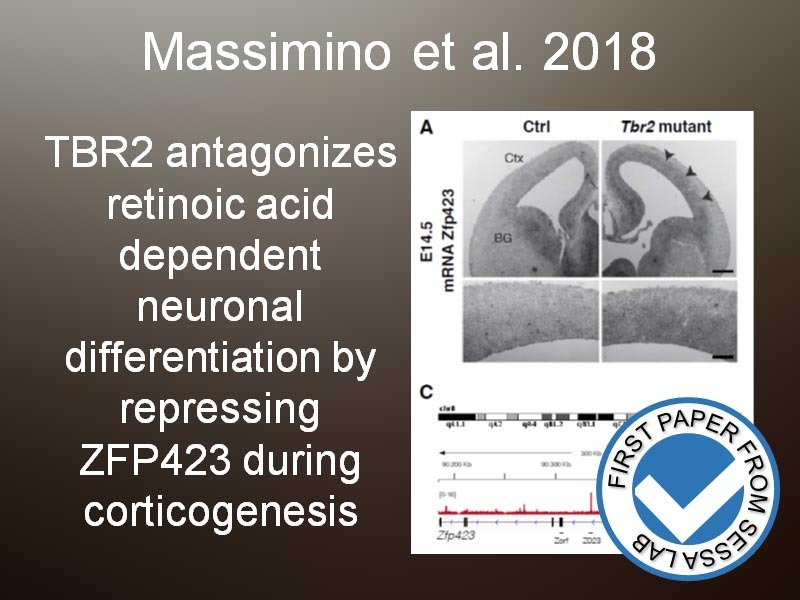 In his Master internship at EBRI in Prof Cattaneo’s Lab, he worked on Alzheimer’s disease, focusing on the alteration of adult hippocampal neurogenesis due to the presence of intracellular Aβ oligomers in Tg2576 mice. Then he started a post-graduate Erasmus+ project in Spain at CRG in Barcelona in Dr Payer’s Lab. There, he worked on X-chromosome reactivation during miPSCs reprogramming. Now, in Broccoli’s Lab, he is working in setting an innovative gene therapy approach to treat Dravet Syndrome. Greta Rossi obtained her Bachelor’s degree in Medical and Diagnostic Biotechnology (2015) at the University of Florence and then moved to Milan to attend the Cellular and Molecular Biotechnology Master degree in Vita-Salute San Raffaele University. She’s currently attending her Master internship performing a functional analysis on HeLa cells bearing a recently PD-associated mutation identified in patients with early onset disease, to get new insights into Parkinson’s pathophysiologic mechanisms. Marco Valtorta is a postgraduate fellow in Vania Broccoli’s lab. He received his Bachelor degree in Biological Sciences at the University of Milan in 2014 and his Master degree in Biology Applied to Research in Biomedicine at the same university in 2016. 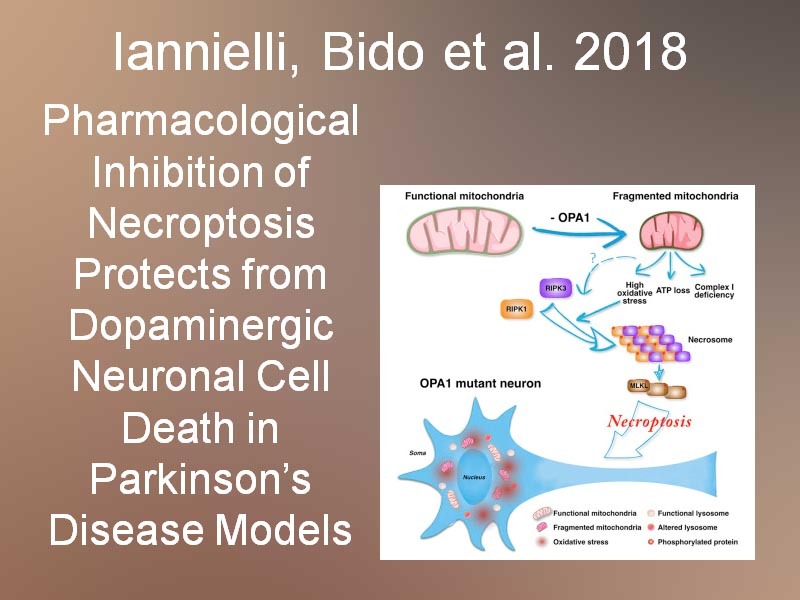 During his Master internship, in Graziella Cappelletti’s lab, he studied morphological and behavioral aspects of knock-out and heterozygous murine models of Park2 gene, involved in the pathogenesis of Parkinson’s disease (PD). After master degree, he moved at the Institute of Biomedicine of the University of Barcelona (IBUB) in Antonella Consiglio’s lab, where he studied the microtubular system in dopaminergic neurons, derived from induced pluripotent stem cells of PD patients and healthy subjects. 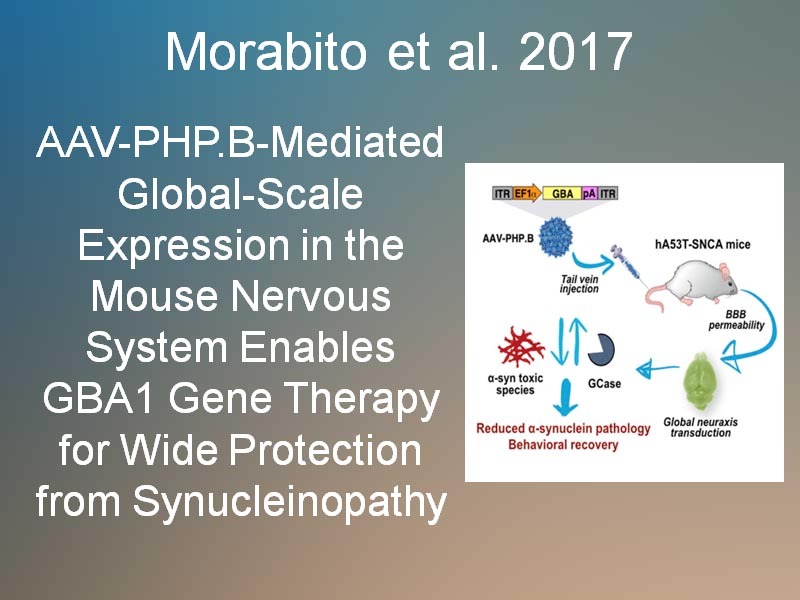 In October 2017, he joined Vania Broccoli’s lab where he is working on the pathological role of alpha-synuclein in PD. Mattia Zaghi is a master thesis student in Vania Broccoli’s Lab. He received is Bachelor degree in medical Biotechnology from Vita-Salute San Raffaele university in 2014. 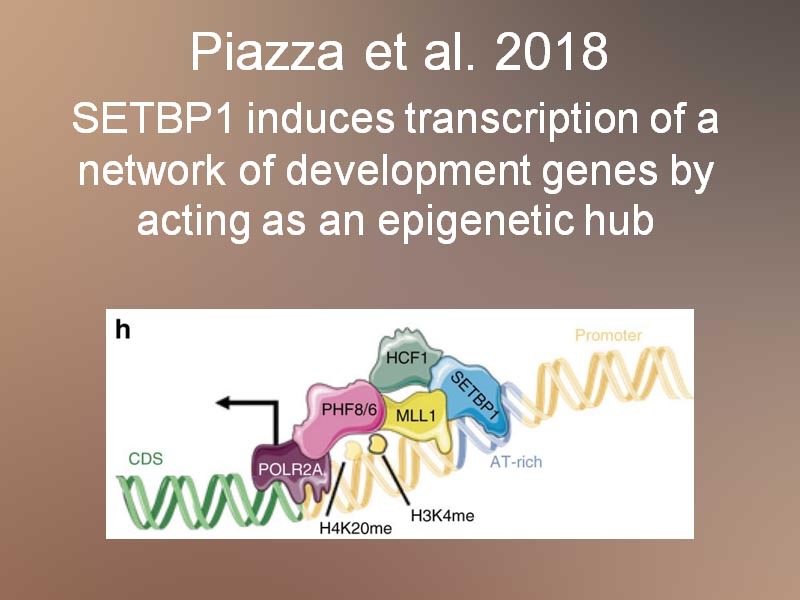 Currently is working with Alessandro Sessa (thesis supervisor) on assessing the function of Setd5, a histone methyl-transferase, that has been recently found associated with autism and intellectual disability and also is role during normal neural developement. The laboratory of “Stem Cells and Neurogenesis”, Division of Neuroscience, San Raffaele Scientific Institute is seeking for scientific personnel to expand current projects on Parkinson’s disease and neuronal reprogramming. The lab has established new procedures to convert skin fibroblasts into functional neurons by the expression of a set of reprogramming transcription factors (Caiazzo et al., Nature 476:224-7, 2011; Dell’Anno et al. JCI, 2014 In press). We have conceived a new approach to delay and arrest Parkinson’s pathology and wish to investigate a specific molecular mechanism contributing to disease progression. In addition, we wish to strength our direct neuronal reprogramming approach starting from adult human somatic cells (fibroblasts and blood cells) and explore their therapeutic potential in an animal model of Parkinson’s disease. The laboratory is strategically located within the scientific environment of the San Raffaele Biomedical Area. Our lab address is Via Olgettina, 58 20100 Milano Italy. If you come by car, click on the red pin below and get directions to our institute. If you come by train, take the subway, head to Gobba (green line) and take the San Raffaele MeLa line (orange line). This is an automatic shuttle that brings you directly in the San Raffaele campus. From there please follow the above directions. 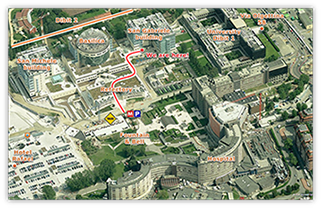 If you come from Linate Airport, you can reach the San Raffaele Institute by public tranportations taking the 923 bus line which runs every 15 min. Alternatively, you can get a taxi and reach our institute in about 15 min; average cost 25€. If you come from Malpensa Airport, take the Malpensa express heading to the Cadorna train station. Then take the subway to Gobba (green line) and take the San Raffaele MeLa line (orange line). This is an automatic shuttle that brings you directly in the San Raffaele campus. From there please follow the above directions.